The history of Nos. 92 to 94 High Street, now occupied by Quod Restaurant & the Old Bank Hotel, is a complicated, yet interesting one. The site can be traced back to the 13th Century when Osney abbey owned these properties. During the dissolution of the monasteries in the 16th Century, Christ Church purchased these properties and they remained in their hands until the late 18th Century. On the corner of Magpie Lane is No. 94, which is the medieval building, the ground floor of which is now the Red Room, one of Quod’s private dining spaces. Built in the 16th Century its renovation has solved a centuries-old puzzle. 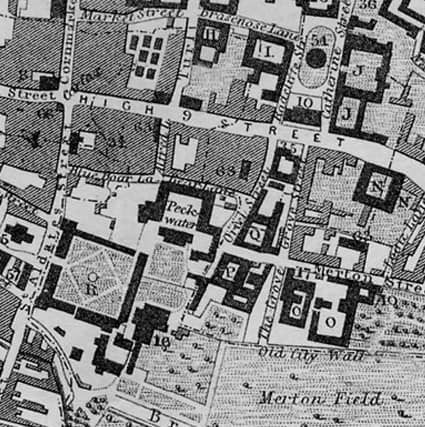 An old aerial drawing of Oxford, made in 1690, clearly shows a second tower in the High Street, not as high as Carfax Tower, but a four or five storey tower. The exact position of this second tower could never be pinned down exactly until the present restoration began. Working on the wall between Nos. 93 and 94 a section of wall was uncovered which undoubtedly matched the rendition of the wall of the tower of the ancient drawing. The bottom section of the second tower had been located at No. 94. Nos. 92 and 93, despite their uniform stone face, were also seen to be very different from each other but both were designed for shop or trading premises on the ground floor and domestic accommodation above. No. 92 was built slightly earlier than No. 93 in the mid 1700’s and features from No.92’s use as a bank, such as safe doors and a cash drop can still be seen in Quod’s wine cellars. In 1771 William Fletcher opened a mercer’s business at No. 93 High Street. William Fletcher was described as a specialist in clerical clothing, corded silk waistcoats, knee breaches and silk stockings! In 1775 John Parsons, Grace’s son, and William Fletcher entered into a partnership. These then are the personalities that founded the Old Bank. Their characters are important, because it was upon their personal integrity and trustworthiness that the success of the Bank depended. They began the business as mercers and drapers, but even in 1775 when their partnership began, the ledger shows that the suppliers of goods to the firm were beginning to use it as a Bank. The increase of trade under the stimulus of the Industrial Revolution created an increased demand for banking services thus the banking side of Fletcher and Parsons grew steadily during the last quarter of the 18th Century. The drapery side of the business was wholly superseded by banking by the year 1808. 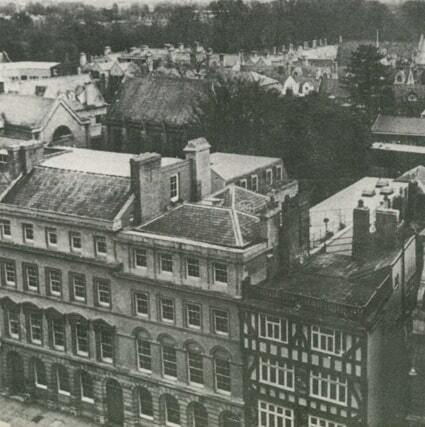 The Old Bank had strong connections with the University and its members and its clientele was largely drawn from the professional classes. This did not prevent it however from supporting deserving local undertakings and in 1795 it made a loan of £2,500 at 5% to the Oxford Canal Company to enable it to complete necessary work on the canal. Their customers were often on terms of personal friendship and one account they held was for Charles Lutwidge Dodgson… or more famously known as Lewis Carroll. John Parsons died at the age of 63 in 1814 and on his death the properties passed to his cousin and brother-in-law, James Thomson. 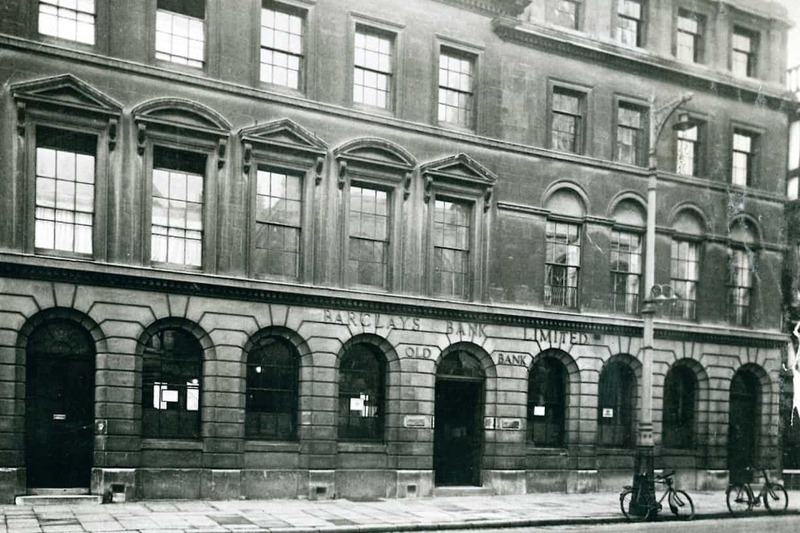 The Bank and its premises remained within the Parson and Thomson families until 1900 when the family bank, Parsons, Thomson & Parson was taken over by Barclays & Co later to become Barclays PLC. The Thomson connection has remained throughout Barclay’s history. Sir John Thomson, whose grandfather was born in 1835 at the Old Bank, was Chairman of the bank form 1962 to 1973. These three beautiful buildings, all with tremendous character, have undergone a certain amount of change over the years. No. 92 was built with four full floors, although the ground floor was remodelled early last century. The central house, No. 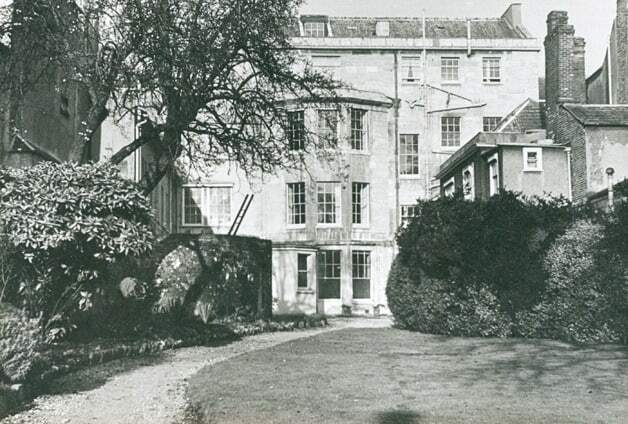 93, was rebuilt in 1798 and a garden created behind. The two central floors are original but it is possible the top floor was added in the 1830’s. The medieval façade of No. 94 had already been treated to a helping of Victorian pastiche at the turn of the century. At this time Barclays gave Nos. 92 and 93 the unified façade that one sees now. No. 94 has always been an oakframed, four storey house with, unusually, a flat roof and surrounding balustrade. 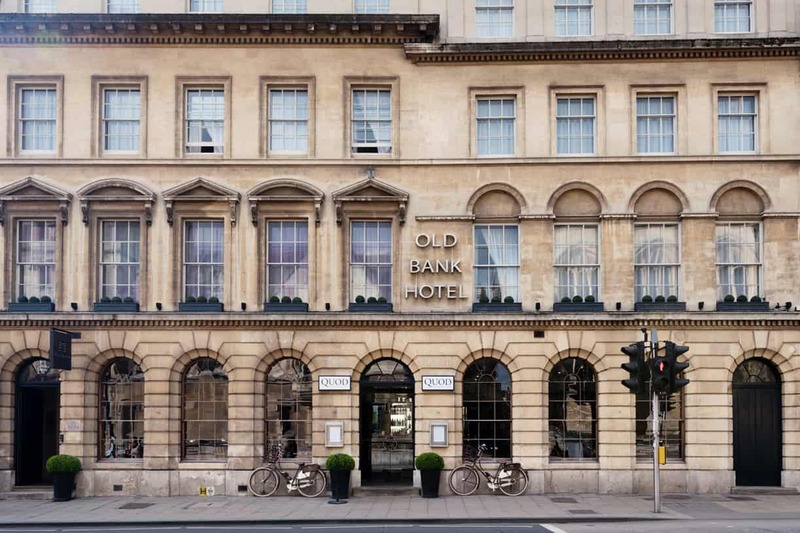 In 2018 this space has been transformed into ‘The Room With The View’, the Old Bank Hotel’s rooftop bedroom and terrace with stunning views overlooking Oxford’s dreaming spires. The third and fourth floors of No. 94 overhang and all the front window-openings are authentic. The half-timbered front is not old, but consists of thin planks nailed to the old walls in 1903. 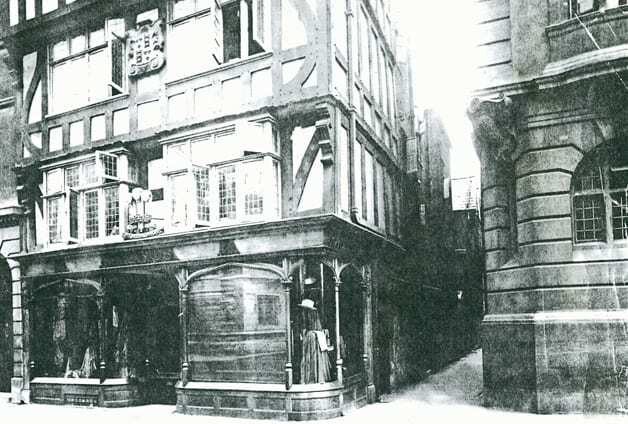 The building, dating back to the 16th Century, served as a home, shop and private hospital to an Oxford apothecary. 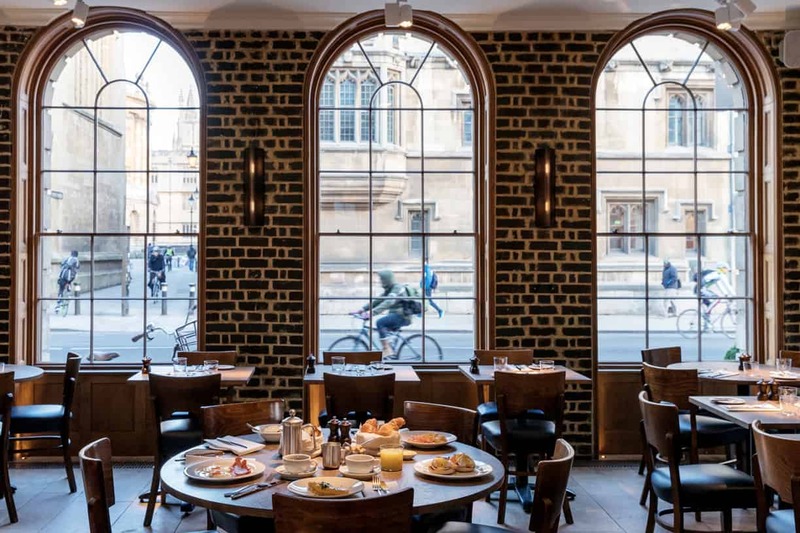 Jeremy Mogford, who has a fine reputation for converting historic buildings, has had the foresight to develop these beautiful Grade 2 and Grade 2* listed buildings into a hotel and restaurant. The restoration work was followed every step of the way by governmental planners and architectural archaeologists. Throughout the restoration, care has been taken to display the quality and interest of the original features while creating a hotel and restaurant for this century. 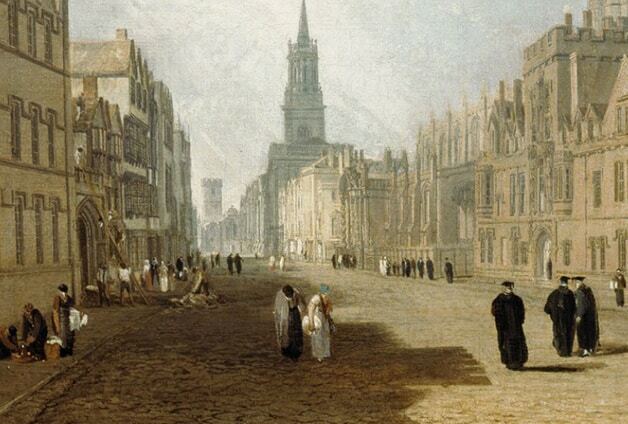 The conversion work has created a lot of valuable information and has added to the Historians knowledge of Oxford’s past. 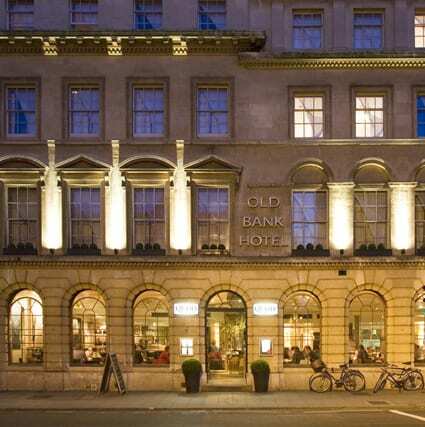 A hotel of timeless elegance, which respects the history of the buildings, the Old Bank Hotel and Quod Restaurant is now appreciated by people from all over the world.